It's become a commonly recognized saying almost synonymous with the unarmed security officer - "to observe and report". In other words it is the job of the officer to ensure he is in the right place at the right time and in that way serves as a primary witness of and deterrence to the security incident. The statement also infers that the officer does not become directly involved in the incident. Take a look at the following sample exam question. 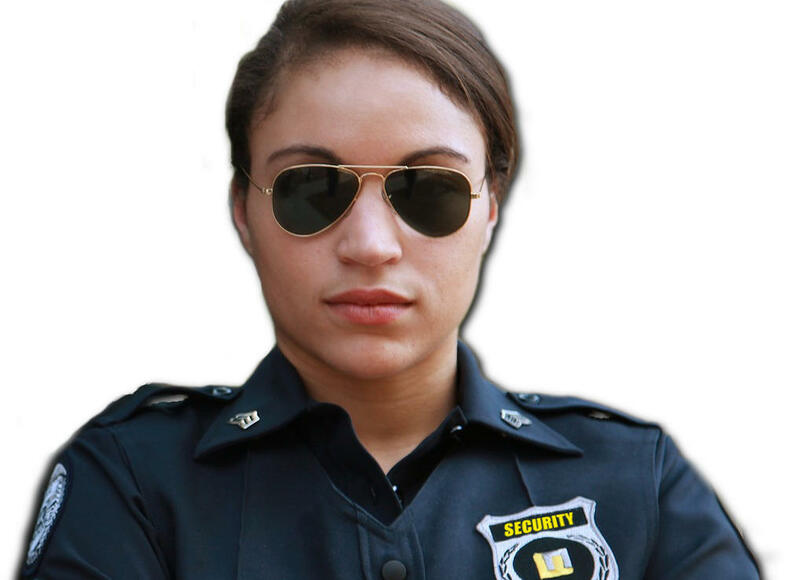 The unarmed security officer primarily serves as a trained witness of nefarious activity. He deters crimes simply because of his presence as a witness. His job isn't usually to stop crimes committed against property. There may be a time when it becomes appropriate for an officer to attempt to physically stop a physical crime against a person who is an innocent party. These are the types of situations where the average citizen regardless of occupation has the moral responsibility to help protect another person. Answer D is the correct answer. Keeping all of this in mind check out the next question from the practice test. 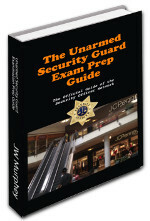 In which of the following situations should an unarmed security officer attempt to directly and physically intervene? A. A small fire has been set in the commons area of an apartment complex. B. Two large individuals are breaking into a car. C. A flash mob of teenagers is looting a convenience store. D. An armed robbery has been committed and the suspected robber is running from the premise. With the exception of answer A each of these answers involves situations where the unarmed officer probably best serves as a witness and not as someone who intervenes. In the case of answer A the officer could potentially save the property from an enormous amount of damage by putting out the fire while taking on little physical risk to himself. Of course, in this specific example the officer should beware that the fire may have been set as a distraction while someone commits a crime in another part of the apartment complex. The officer must keep in mind that his presence may serve to end an incident. In the case of answers B and C should those perpetrators realize the security officer has arrived on scene they will likely flee the area without committing any additional damage. However, the unarmed security officer is usually not encouraged to attempt to detain or arrest these individuals. 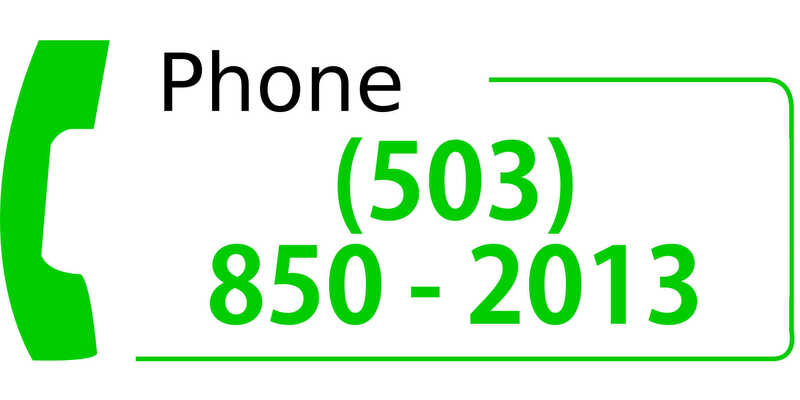 Here is a similar test question. In which of the following interactions should an unarmed security officer attempt to stop the actions of a perpetrator? A. Someone fills up his car with gas, quickly jumps in his car and prepares to speed off site without paying for the gas. B. Two drunken individuals have a loud argument and get into a fight in the parking lot of a bar. C. An individual walks up to a parent with a small child and attempts to tear the child away from parent. D. Two rival gang members trade gunfire while shouting insults at each other. What do you think the answer is? In all of these instances someone could get hurt. But, in what instance must the unarmed security officer get involved? In instance A, the officer might be able to stand in front of the drive off attempt. But, is it worth the risk that the desperate gas thief will run into the officer with his car over just $40 of gas? Some might suggest that the officer could intervene by pulling his patrol car in front of the escaping car in an attempt to block the car in and prevent the drive off. But, what happens if the person slams his car into reverse without looking behind him? It is unlikely that the security officer's involvement will make substantive difference and it is likely that by forcing the issue people could get hurt. The best thing for the officer do to in this scenario is to observe and record the license plate number. In instance B, a club bouncer must decide if he should get involved. This may be an instance where the two subjects arrive at an outcome without the bouncer's involvement. Since the fight occurs in the parking lot it is less likely that others get hurt. However, should one person gain the upperhand in the fight and start to harm the other it may be necessary for him to come to the aid of the weaker person and keep serious harm from occurring. In fact, while it might seem like a stretch, a person who is hurt in a fight might attempt a civil action against the bar should the officer not come to his rescue. But, this answer does not best fit the description of an incident where the officer must get involved. 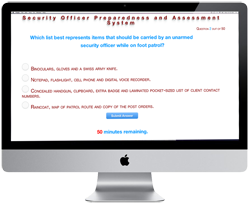 Answer C best describes an incident where an officer must get involved. A potential kidnapping of a minor represents an instance where even an unarmed officer must not hesitate to intervene. This proves there is an exception to every rule. In this case "observe and report" goes out the window. This also highlights the importance of the officer being mentally and physically prepared for this type of an incident to occur. In the case of answer D, an unarmed officer's role should be to contain the situation by keeping innocent bystanders from becoming involved as best possible. Of course he should also get a description of the gang members, their vehicles and tag numbers. Usually one of these shootings takes place within just a few seconds as one party attempts a hit and run on the rival gang. Even after the hit and run has taken place the officer should be very wary of additional gunfire as the victim may indiscriminately return fire even after the attackers have left the scene. Why does the unarmed officer's employing security agency want him to "observe and report" instead of taking a more proactive role in mitigating security incidents? A. This minimizes the civil liability of the company and the business which hires the company. Also, the unarmed officer does not have the tools or training to make an arrest. And, the company wants to protect the health and safety of the officer and others. B. Clients who pay the company for unarmed security are usually cheap and they don't deserve the services of a highly paid armed officer who has the capacity and training to bring an end to security situations. D. There is so much crime that it just isn't practical to try to stop all of it. The best answer to this question is the first one. 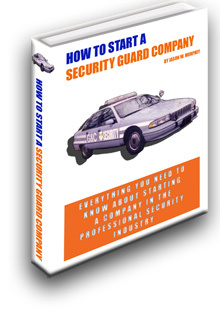 These three concerns are a big deal to the security company which has to pay general liability insurance and doesn't want those insurance rates to increase because the company is sued after the officer gets involved in a security incident. And, if the officer gets hurt on the job the company's workers compensation insurance may skyrocket. The other answers may present some valid viewpoints but don't answer the question as well as answer A.